Pool algaecide and swimming pool maintenance tips. 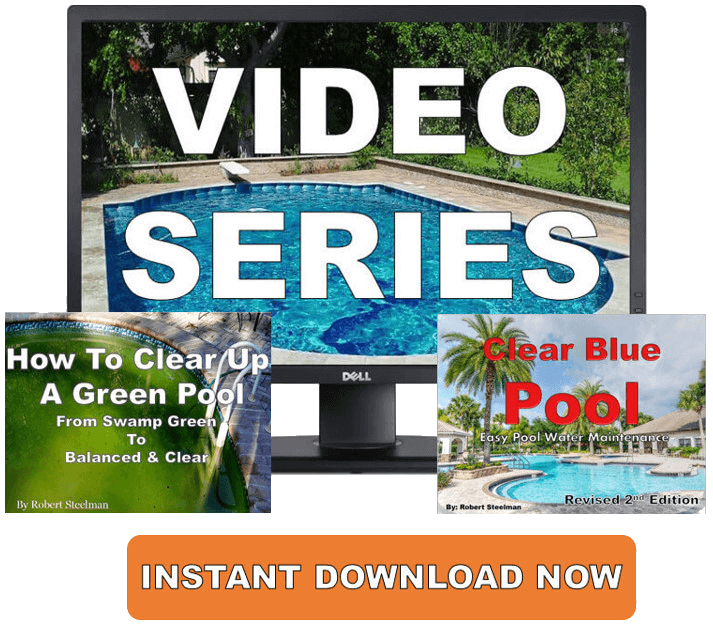 Best way to eliminate an algae swimming pool and avoid common mistakes to give you clear pool water. So you walk into your backyard. Yesterday your pool was clear. Now it's green or cloudy. You might think, "Oh, I'll just add my favorite algaecide and everything will be fine." But before your pour it into your pool, we need to establish something. Algaecides are used for preventative maintenance. It's simply not equipped to actually kill algae. It cannot kill algae spores faster than they can reproduce. If you have a green algae swimming pool, and you’ll know if you have one, find out which kind of algae you have. Most of the time simply maintaining a high free chlorine level is enough to kill the algae. If you have black algae you'll need to rub chlorine tabs on the affected areas. Yellow algae will take longer and the chlorine must be maintained at a high level. Green algae will take a different approach. Adjust your pool water chemistry, be sure you have backwashed your sand filter or DE filter, then shock your pool. If you have a cartridge filter be sure to clean it out well. You may want to wait a day or so to allow the chlorine to do its job. Do I Need A Pool Algaecide? Regularly checking and maintaining your pool chemistry is the best way to prevent algae in your pool. Check your chemicals at least weekly and make the right adjustments when needed. And remember to maintain your filter and keep it running at peak performance. That means if you’ve recently been in the ocean, natural lakes, or natural rivers, you absolutely, positively need to throw your swimsuits in the washing machine for a good cleaning. Also remember your pools toys. Clean them on a regular basis with a bleach solution or bleach-based cleaner to ensure you're killing off any algae spores that may want to hang around a bit longer. If you have ever seen the rows and rows for pool green water algaecides, you may have become overwhelmed. The 3 main types of algaecides are "metal" based, "poly" based, and "bromide" based. While metal based algaecides (copper and silver) are the most popular, I recommend to never use them. This is especially true if you have metals in your water. All you're doing is adding more metal to your pool water and that's something you don't want to do. And bromide based algaecides are not needed either. The bromide must be converted in bromine to actually be used as an effective sanitizer. The product most widely used for this conversion is chlorine. Why not just skip the bromide based algaecide and go directly to chlorine? If you're going to use an algaecide, I recommend using what is known as a PolyQuat 60. This kind of algaecide is safe for all pool surfaces and won't foam up like a metal based algaecide can. Your best bet is to maintain your pool chemistry and keep your filter working at peak performance. This will ensure your pool water is balanced and the filter is properly cleaning the water. Remember the best pool algaecide in the world will not kill your algae issues. Pool chlorine shock is the only thing that will. A green algae swimming pool is a common issue, but don't worry. You have lots of great information here. Using the best pool tips, the best pool algaecide, and understanding your pool’s chemistry is the best way to keep that algae far from your pool.